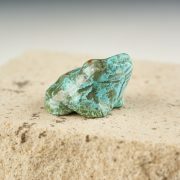 Dana Maline serpentine crouching frog with turquoise eyes. 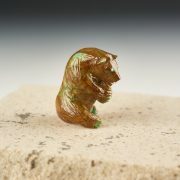 The serpentine is so great on this one, it looks like the frog is naturally striped ! Frogs are associated with water and rain. He asks the spirits to bring abundant rain. 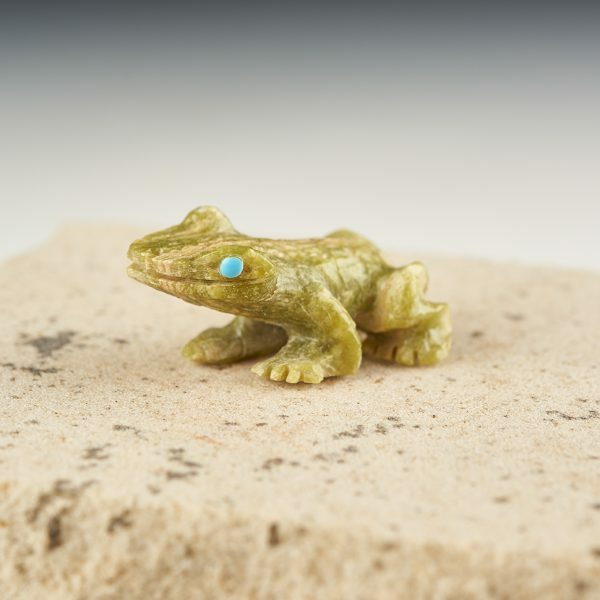 Frogs and tadpoles represent the cycle of life.